Artist’s rendering of the Centre for Cancer Immunology building. Image courtesy of PM Devereux. The four-storey building will have two floors for researchers and administration, and the other two for accommodating laboratories. Image courtesy of PM Devereux. The new facility is expected to be officially opened by Spring 2018. Image courtesy of PM Devereux. The University of Southampton’s Centre of Cancer Immunology is currently under construction at Southampton General Hospital site, located adjacent to the Somers Building, and will be the first and only centre in the UK when completed. It is being developed by the University Hospital Southampton NHS Trust and Southampton City Council. The centre will have well equipped research facilities, including a clinical trials unit, suite of molecular biology laboratories, and a pre-clinical immunology lab to support the development of new cancer immunotherapies. Construction of the facility is expected to be completed with an estimated investment of £25m ($32.46m) this autumn, while the official opening is expected next spring. The University of Southampton launched a campaign to raise £25m ($32.46m) fund for the construction of a new cancer immunology centre in 2015. The centre received donations from the Wolfson Foundation, Matthew Hodgson of Warwick Capital Partners, and Coldplay. Solent LEP contributed £4.5m ($5.84m) for the construction of the centre, which is being carried out as part of the procure 21+ NHS procurement framework. The planning application for the construction of the centre was approved by Southampton City Council in February 2016. The topping out ceremony of the building was held in October 2016. The Centre for Cancer Immunology will be situated in a four-storey building, which will have a total floor space of 4,000m². The upper two floors of the building will have space dedicated for researchers and administration, while the lower two floors will house laboratories. The ground floor of the building will include an impressive atrium, along with space for meeting rooms and the clinical trials unit, and an open plan and dedicated office space. The first floor will include an open-plan work space, in addition to interdisciplinary breakout areas. It will also include space for meeting rooms for researchers, PhD and undergraduate students, senior academics, and clinicians in cancer immunology. The second floor of the building will be a hub for laboratory research. It will have space dedicated for study and work areas for students and staff. The Centre for Cancer Immunology will accommodate world-leading immunotherapy scientists, clinicians and technical experts to collaborate in an interactive environment to generate new knowledge and to develop new treatments. It will include sophisticated research equipment for the development of new cancer immunotherapies ranging from discovery in the lab to clinical trials. It will act as a hub for academic and industry partners worldwide, and will enhance clinical trials to explore new areas to develop lifesaving drugs for cancer. It will include a clinical trials unit, a suite of molecular biology laboratories, and a pre-clinical immunology lab. It will significantly enhance the number of staff working on cancer immunology and the number of patient clinical trials. The new facility will attract leading scientists from all over the world in the development of immunotherapy treatments, and will partner with Francis Crick Centre in London. It will perform research in multiple cancer forms from lung to skin, and pancreatic to neuroblastoma. 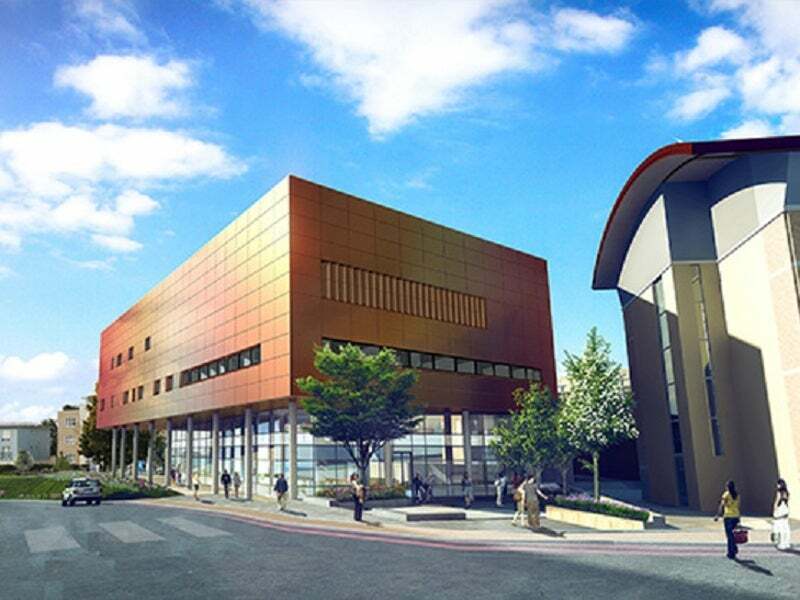 PM Devereux was awarded a contract to provide the design for the Centre for Cancer Immunology. Kier Construction Southern was contracted to provide general construction services for the project. AtoZ-CRO provides services and partner solutions for clinical studies with pharmaceuticals and medical devices. Topstone Research provides clinical trial management services for the pharmaceutical industry. Atlant Clinical is a contract research organisation (CRO) providing efficient clinical research and support services for Phase I-IV clinical trials in Russia, Europe, and the US.